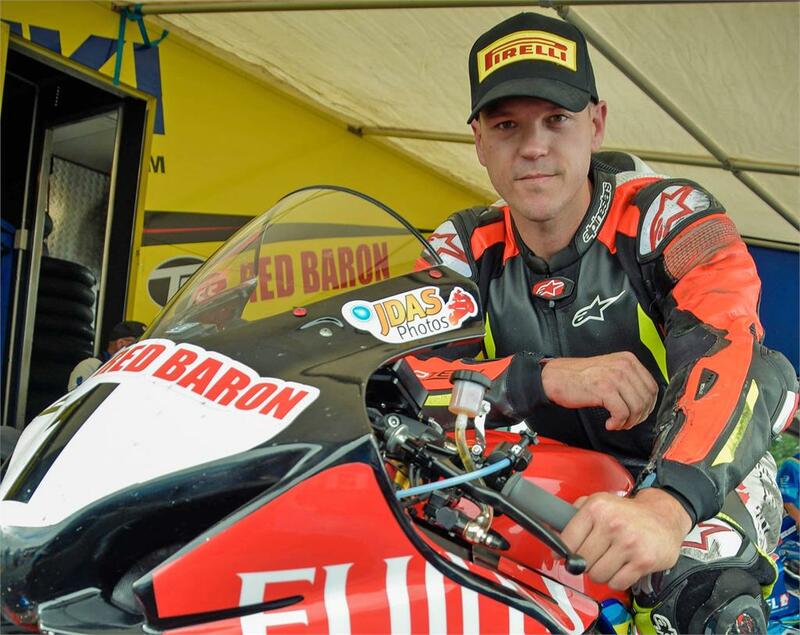 Sloan Frost clinched the 2018 New Zealand Superbike Championship aboard his Suzuki GSX-R1000 after a calculated performance at the weekend’s fourth and final round at the Bruce McLaren Motorsport Park in Taupo. The 36-year-old rider from Wellington had built a commanding lead at the first three rounds, but he was taking nothing for granted: Frost held a 47-point lead over his nearest rival, Mitch Rees (Honda), at the start of the weekend, and his safe and sensible approach to racing on Saturday and Sunday saw him qualifying fastest and then finishing fourth, sixth and third in the three Superbike races, allowing him to add to his first Superbike title in 2016. Daniel Mettam, also riding a 2018-model Suzuki GSX-R1000, eventually claimed the third spot in this class. Said Frost: “It feels like more of an achievement this year than my other win. I was so nervous. My qualifying times were really good, but, as soon as we got to racing proper, I was riding tight while the other riders had nothing to lose, so they were pushing hard. One of Frost’s biggest threats this season had been his own Suzuki team-mate, Taupo’s Scott Moir. Meanwhile, Huia’s Nathanael Diprose survived a major scare after he crashed heavily in the weekend’s first of three Superlites races on Saturday. However, he battled through the pain barrier to win his two remaining races on Sunday and took his Suzuki GSX-R450, and wrap-up the Superlites title for 2018, winning ahead of fellow Suzuki rider Dennis Charlett. It was a Suzuki 1-2-3 in the 650 Pro Twins class with Hamilton’s Jordan Burley winning ahead of Auckland’s Liam Underwood and Christchurch’s Nick Cain. Other title winners for 2018 were: Christchurch’s Jake Lewis (Supersport 600 class); Christchurch’s Dennis Charlett (Supersport 300 class); Christchurch’s Nick Cain (250cc Production); Rodney’s Blayes Heaven (125GP); Pukekohe’s Thomas Newton (GIXXER Cup); and Auckland’s Peter Goodwin and Kendal Dunlop (Sidecars).